Otherwise referred to as passive smoking or sometimes environmental tobacco smoke (ETS) second hand smoke is what individuals are exposed to when people around them smoke. This could be in a pub or café, on a bus or indeed anywhere near. 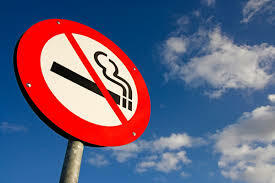 The production of second hand smoke comes from the actual burning of the cigarette i.e. the smoke from the lit end, as well as the exhaled smoke coming direct from the smokers themselves. The burning end of the cigarette is what produces the most / worst second hand smoke as this smoke has been proven to be poisonous, containing higher than acceptable levels of toxins such as ammonia, carbon monoxide and even hydrogen cyanide. Scientific and medical studies have clearly shown that second hand smoke may cause and contribute to a number of serious health issues. In addition to this those exposed may suffer from a number of unpleasant side effects including yet not limited to throat irritation, coughing, sore eyes and headaches. Statistics show that a non-smoker being exposed to second hand smoke significantly increases the risk of them having lung cancer and heart disease. The risk increases for both of these serious diseases are 24% and 25% respectively. These are just two of the serious illnesses which may be caused by second hand smoke, others including COPD and a number of other cancers. It has been made clear by experts that there is no level of exposure to non-smokers of second hand smoke which is risk free. This means that every breath has the potential to cause harm. Just thirty minutes of exposure to second hand smoke effects blood platelets in a way which starts to raise the risk of heart attack or other heart-related issues. 85% of second hand smoke may be odourless and not visible to the naked eye therefore being in an enclosed space with a smoker, even if at the other side of the room, still poses significant risk. WHO (The World Health Organisation) has classed second hand tobacco smoke as being something which may cause cancer. Similarly other health organisations and support services have reported on the risk involved in being exposed to second hand smoke and classified it accordingly. Second hand smoke has the same risk / health rating as radon, asbestos, arsenic and more. Further studies have concluded that passive smoking or second hand smoke may cause serious health conditions such as childhood respiratory diseases, the worsening of pre-existing conditions such as asthma, SIDS and middle ear disease. Pregnant women smoking are also passing toxins and harmful substances to their unborn baby. Clearly all of this data, the statistics and the research that has been undertaken is enough to definitively prove that second hand smoke is indeed extremely harmful to health. Over 4000 different chemicals are found in tobacco smoke, many of which are considered harmful to health. Research indicates that second hand smoke, a toxic smoke, contains in excess of fifty different known substances including benzene, benzo(a)pyrene, chromium and more which are known to cause cancer. The proactive first step to take when looking to give up smoking is to get some help. The NHS run a number of highly success local Stop Smoking services, smoking cessation aids may be available on prescription and there is a wealth of advice and support available. Contact the NHS Stop Smoking helpline on 08001690169 for a free information pack, to locate your local services or talk to your GP practice or pharmacist who will be able to help.